Main material: 95% viscose weave, 5% elastane weave. Secondary material: 100% polyester weave. Additional materials: 95% viscose weave, 5% elastane weave. Model's measurements: Height: 5’ 10” Chest: 33” Waist: 23.2” Hips: 34.6” Model wears a size 4. Made in France. 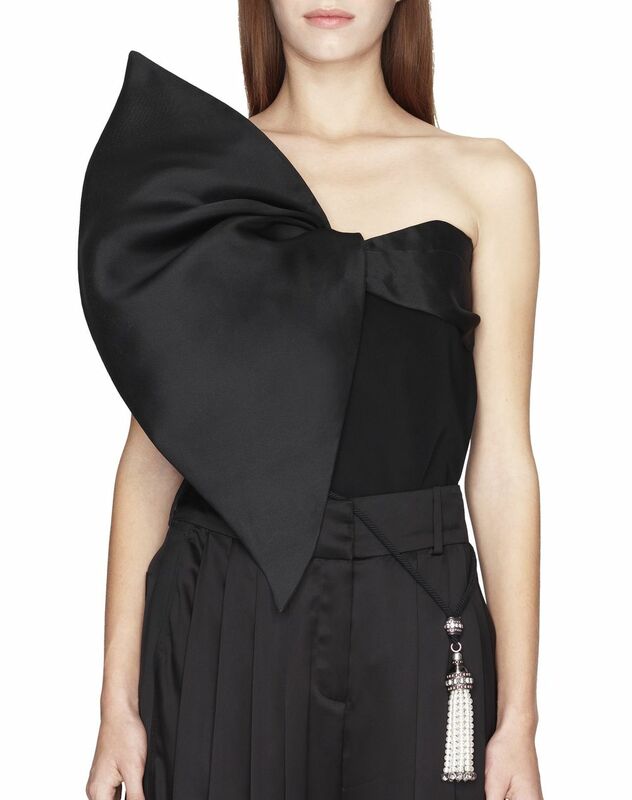 Bustier top in black stretch techno crepe, sleeveless, asymmetrical neckline with tone-on-tone satin bow detail inset, and invisible closure on the left side. 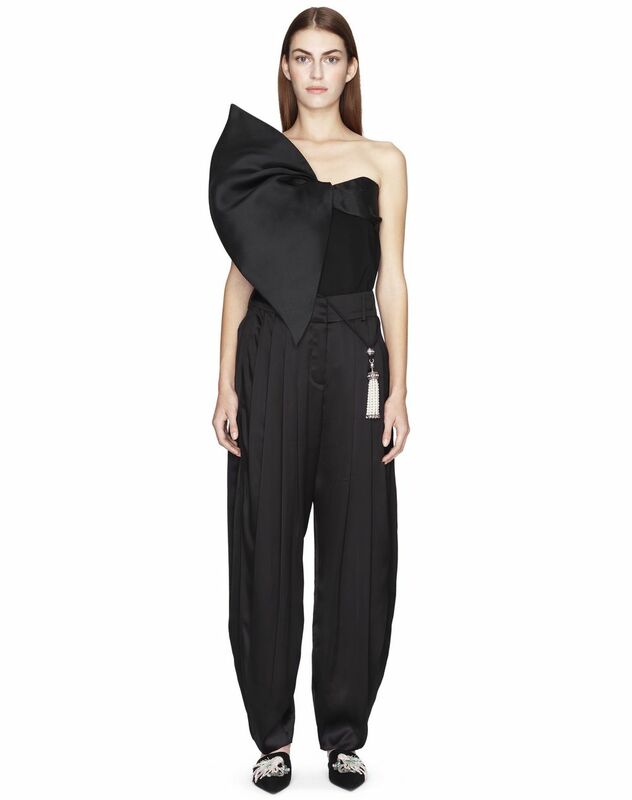 This bustier top in black stretch techno crepe stands out for its interplay of materials and shapes. The craftsmanship of the satin bow inset embellishes the bust and adds refinement to this piece. 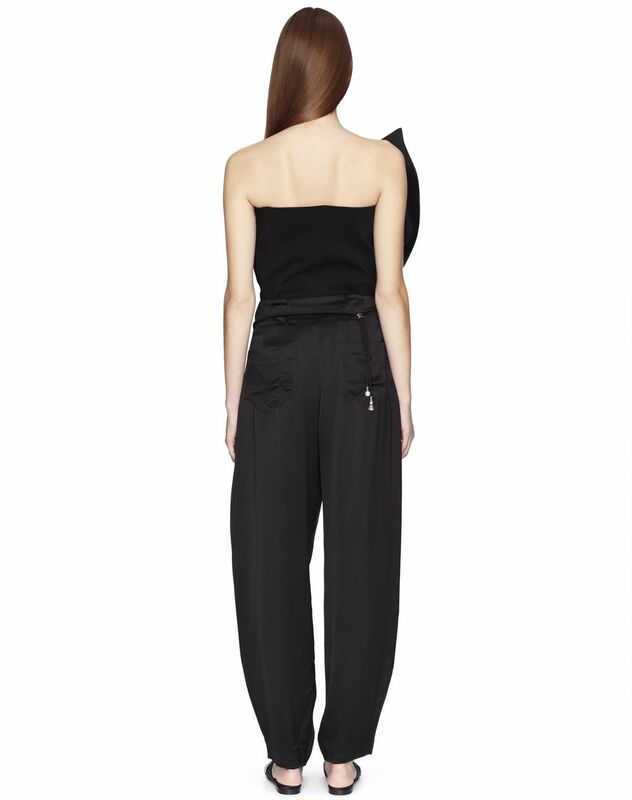 Subtly luminous and sophisticated, this bustier top is a timeless classic for evening wear.